Summary: Quality construction and solid life expectancy at a remarkable price. For many years no one would have believed that Chinese tube factories could turn out work of this quality. 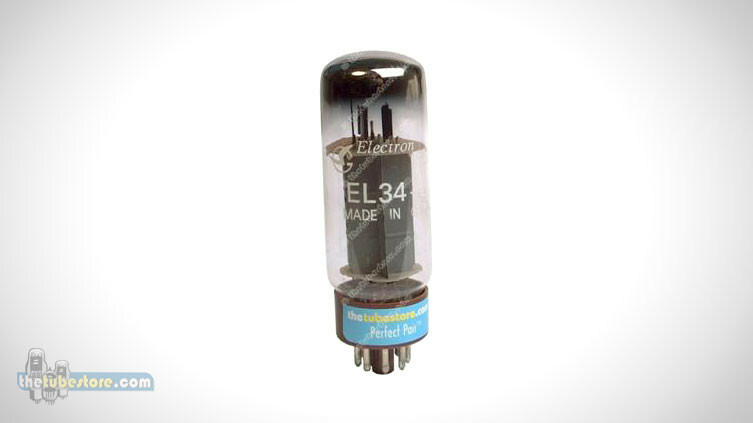 The construction of this Shuguang EL34-B tube is first class, with a well-supported plate structure that rests in a large straight bottle that tapers to a well finished brown base. 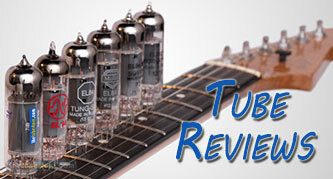 These tubes represent a very solid piece of construction with almost no mechanical noise and an overall feeling of quality. The sound is loud and clear with a very nice sonic range. Not excessive in tops, mids, or bass, they are accurately described as well balanced. The sample tested had no audible microphonics and an average background noise level. Harmonic content was rich, lending that pleasant “swirl” and sustain that guitar players crave.